The Emory University COMPASS Coordinating Center offers Core Grants of up to $4,500 per organization to support a variety of organizational and staff resources, including technology and software, meeting space costs, conference attendance fees, professional development, and continuing education. Funding requests must be related to building organizational capacity in one of the following areas: (1) governance and leadership; (2) mission, values, and strategy; (3) finance and administration; (4) resource development; (5) strategic relationships and coalition building; (6) communications; (7) internal management and operations; or (8) service delivery and impact, and must be clearly described in the application. Core grant applications are accepted on an ongoing basis, and are reviewed twice each month by an internal team of reviewers. An initial response to completed applications will be given within 14 business days after receipt. Applicants will be contacted if there are questions or if additional information is required to process an application. All services related to requests are expected to be completed within three (3) months of the date that funding/support is released. A final report will be required upon completion. Funds are NOT available to support medical staff, medical devices or equipment and/or to medical services or medically-related programming. Funds are NOT available for technology to help provide medical care, services, or support. NOTE: Organizations that do not meet these eligibility requirements are INELIGIBLE for funding. Must provide a budget with three (3) quotes for equipment, software, or related training, or a statement of justification if from a sole (single) source provider. Each quote must include the name of the product(s), cost of the product(s), and the name and contact information for the vendor. Applicants must have an IT infrastructure that can support the new equipment/software and future maintenance costs (e.g. physical plant, qualified staff support, software licensing renewals, service plan, etc.). All requests are FINAL; no ongoing maintenance, licensing, or support will be provided after the initial purchase. Note: Technology requests, and other highly specialized service needs may take up to 60-days for processing and approval. Organizations may receive funding for technology requests once every 3 years. Mentoring/Twinning travel and expenses, conference travel, training travel and expenses are allowable requests. Services provided by an affiliated organization or a consultant not referred by COMPASS Initiative staff will be considered on a case-by-case basis. The Emory University Rollins School of Public Health COMPASS Coordinating Center will pay for a training/class and will provide a travel stipend toward travel costs (up to $200). Requests requiring support for travel or that have deadlines must be made no less than 3 months in advance of the conference/meeting. Organizations may receive funding for staff continuing education requests once per year. This can include refreshments, space, and AV rental costs. This does NOT include conference sponsorship and/or planning. Funds are intended to support consortium, network, or other community meetings that are NOT currently supported by CDC, NIH, or other funding organizations. Organizations may receive funding for community meeting space requests once per year. Reimbursements for items/services purchased or initiated prior to the submission of this funding request will not be supported. Awarded organizations that do not complete final assessments and/or reports, or use awarded funds for unintended purposes will not be eligible to receive any future funding from the Emory University Rollins School of Public Health COMPASS Coordinating Center. Only one Core grant request will be accepted at a time per organization. Organizations that are national, with multiple locations, or serve as a branch or satellite of a larger entity are considered one organization not separate entities. 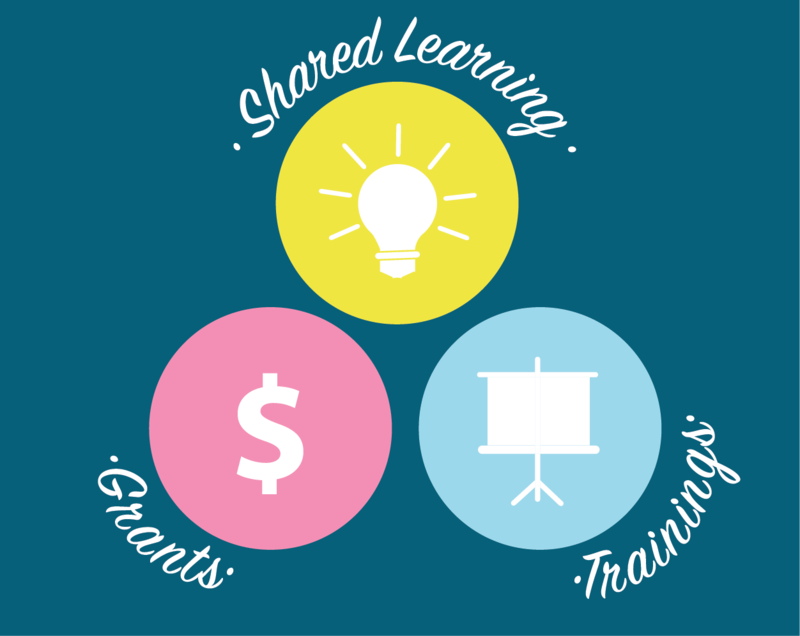 Core Grants for Staff Continuing Education Support and/or Community Convening Support will be funded once per year. Core Grants for Technology will only be funded once every 3 years. Applications for funding through multiple funding mechanisms supported by the Emory COMPASS Coordinating Center will typically not be approved (i.e. PoWER Institute or Transformative Grant). Submission Process: The submission process should take no more than 30 minutes. The Emory COMPASS Coordinating Center staff will respond within fourteen (14) business days post-submission. Please return to the Home page to apply for this funding opportunity.